TORONTO (Reuters) – The CFO of Chinese telecom giant Huawei Technologies Co Ltd is set to be back in a Canadian courtroom on Monday, fighting for her freedom with the help of pressure from Beijing, while prosecutors argue she cannot be trusted. Huawei chief financial officer Meng Wanzhou was arrested by Canadian authorities Dec 1 at the request of the United States. Ms Meng, 46, faces US accusations that she misled multinational banks about Huawei’s control of a company operating in Iran. This deception put the banks at risk of violating US sanctions and incurring severe penalties, court documents said. US officials allege that Huawei was trying to use the banks to move money out of Iran. Canadian prosecutors argued against giving her bail while she awaits extradition to the United States. 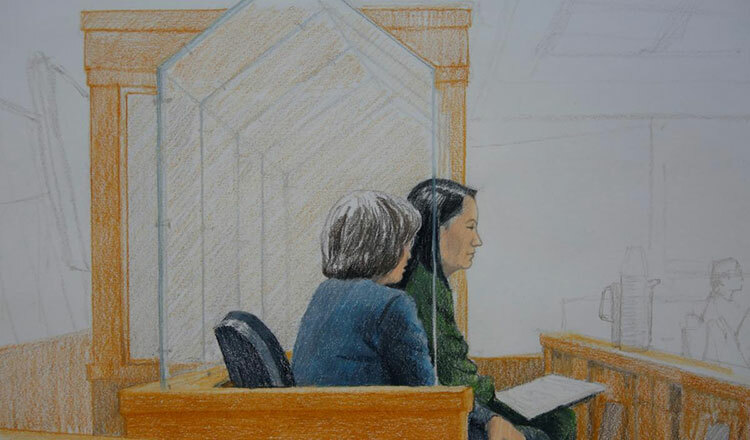 Ms Meng argued that she should be released on bail while awaiting an extradition hearing due to severe hypertension and fears for her health while incarcerated in Canada, court documents released on Sunday showed. In a sworn affidavit, Meng said she is innocent of the allegations and will contest them at trial in the United States if she is surrendered there. She was detained while transferring flights in Canada and appeared in a British Columbia court on Friday for her bail hearing. After nearly six hours of arguments and counter arguments, the hearing was adjourned until Monday. China has strongly criticized her detention and demanded her immediate release. Her arrest has roiled global markets as investors worry that it could torpedo attempts to thaw trade tensions between the United States and China. Ms Meng, the daughter of Huawei’s founder, has been held in custody since her arrest. Her lawyer argues that this situation is untenable due to her health.